I created this blog to spread the information about the Internet Services available in Pakistan. It will cover every aspect of the consumer as well as the ISP. And I hope people will find the information use full and it will help them to deal with there own ISP. TeleCard has announced there interest in Broadband Internet Services and are on a mission to launch there own WiMax services in Pakistan. Currently TeleCard has not given any deadlines or launching dates but the project itself is in very early stage. The company responsible for the research and deployment of there set up is an international firm called Augere. Whenever this product get launched it doesn't matter, but the thing that will matter is whether TeleCards rival's (Wateen and Mobilink Infinity) reaction to this news. Although the future of after-Musharaf-Pakistan isn't certain but the fact that broadband prices are still very high in Pakistan is. Hope a bit more competition in this market will loosen the nod. 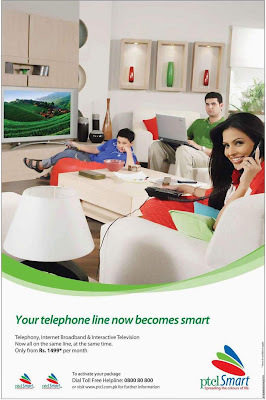 PTCL's Smart connection started on 14 August 2008 and cost Rs 1499 per month. Ptcl do claim that they will be introducing more features and more flexible packages very soon. This services is currently available in all the areas where PTCL's DSL services currently work. This is PTCL's brave attempt to capture more people into its net. I will agree that this is a charming offer and attract many customers but the big question still remain . Will the current PTCL land-Line Infrastructure will be able to cope with this extra burden? PTCL struggels to give proper signal strength to its DSL customers and this being live tele will require better than whats currently available on the Poles. When I used DSL I used to have regular Un-Sync. issue due to high Attenuation and Low Signal Strength. I changed all of my internal wiring even asked the line-man to change the dropwire which connects my PC to the Pole, nothing I tried or as many complaints I logged but the issue was not resolved. I have heard same kind of problems from many DSL users. I would agree that the condition in newly developed areas are a little better. In these areas underground fiber-optics cables provide the services rather traditional cable ones. PTCL calls these particular lines ONU. And they hope to extend these line to the extent where they will no longer need the 1900s copper wiring. If that may happen i see PTCL as the only contender to win the Pakistani ISP war. Wateen.... There is nothing more to say about them but "crap". There services when started attracted many customers in areas where DSL services were not available or were not good due to the wiring of there area. Considering this fact WiMax had allot of potential and rightly, so many people opted for it over the others. But what we did not knew at the moment of purchase that this service has more flaws than a H5N1-Vacine. Before I go into the problems I would like share some information about there service. Wateen provide there services via WARID-TEL's signal towers and frankly speaking the mesh of AP (access point) is not dense and there many areas where still the services is faulty due to low signal strength. 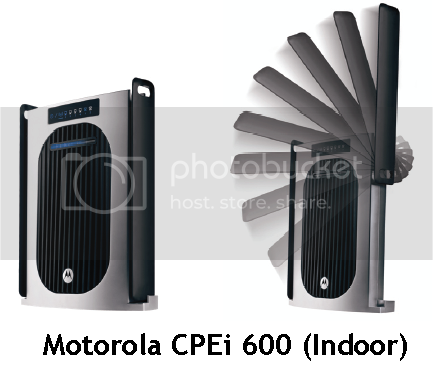 The devices used on the AP and at consumer's premises both are from Motorola. Wateen provide two kinds of CPEs (Consumer Premises Equipment) Indoor and Outdoor. When the services started, Wateen only had Post-Pay services available but now they are trying to discontinue it and moving to Pre-Pay service. In fact they switched all the older post pay users to prepay. Both services works by a simple easy-to-use mechanism. the CPE camps to the nearest AP and when the user open the browser a page http://internet.wateen.com to be precise opens, the user is asked to enter his/her username and password. Once this is done the user connected to the internet and the Wateen servers know from which account the usage is supposed to be counted. For prepay users Wateen did provide a portal to check the details of there usage its http://wateen.com/selfcare. This portal I would say provides sufficient information about the usage and there are some other good features like "Requests" and "Complaints" in there too. -Low Signal Strength: In a wireless service signal strength is the key to every thing. But Wateen doesn’t think this is important because there signal strength is poor and due to this all the other feature are distorted. The telephony doesn’t work properly on low signal strength and the speed of the Internet connection drops rapidly due to this. The Indoor Unit is rubbish there is no way people can get good service on it because its capability of getting the signal is not powerful enough to catch the snail-powered-signals. The Outdoor unit however works quite nicely if compared to indoor one. But the problem with it is that not every one can afford to have it, I don’t mean financially but people who lives in apartments and people who wanted WiMax for its mobility would not prefer it. -The Quota: Almost all the ISPs including PTCL, Mobilink, WorldCall, LinkDotNet has removed caps from there services but Wateen doesnt seems that this is important to attract consumers. 10Gb is just not enough. -No Way To Check The Usage: People who dont use internet as vigorously as I do will say why would you want to check your internet usage. But I download almost every thin of the internet and the Limit of 10 GB is not enough but I can keep up with it if I was provided information about my usage. But Wateen constantly denies resolving this matter for its older post pay users. -High Latency: Wateen's latencies are very high. The latency for connecting to Wateen's own server http://speedtest.wateen.com is as high as 300ms. And 300ms for an internal server is very high. But when I asked this to engineer who visited my home he said and I quote "This will shorten as you use the net". I may not be an engineer but I have never herd a more absurd thing. -The Billing Issue: This is probably the biggest issue of the lot. Wateen thinks that when they don’t provide us information about the usage we have done but they can still can bill us for it. But that’s a "NO" from the consumer side. As I said before Wateen had not provided us information about our usage and of course when we naturally exceeded our 10 GB limit they send us a bill after three months. The proper way of handling over usage was to provide a portal from where a person can monitor his/her usage and the problem of exceeding the limit would never have risen. However, Wateen does not think that way. They think if they send the bills, which include the over-usage after three months it would be highly amusing. Wateen is by far the most horrendous ISP I have ever encountered, and I can say that I had my share of ISPs. They have broken PTCL and KESC's complaint record and still they do not care about it. They not let them selves down but they have led Motorola down too. And worst of all they made the most promising technology of WiMax in dark Light. I would not recommend anyone to get there services. 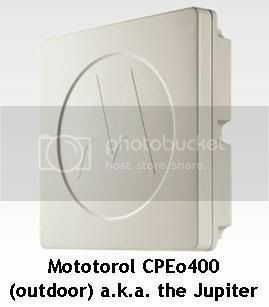 And if they do I would recommend them to get the Outdoor unit with a prepay connection.